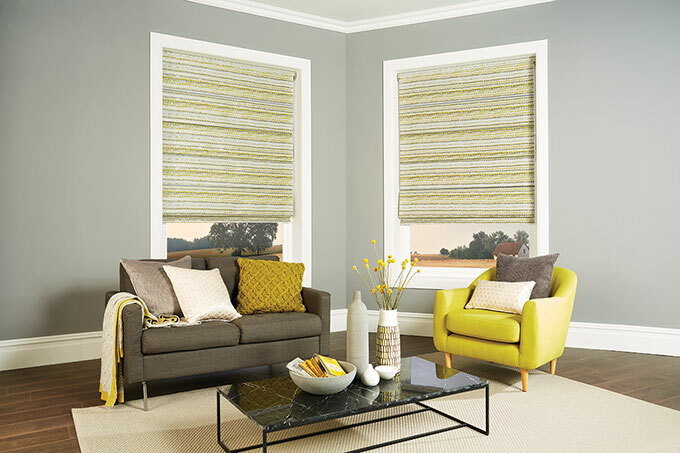 Roman blinds available at Millennium Blinds, Whitchurch, Cardiff. 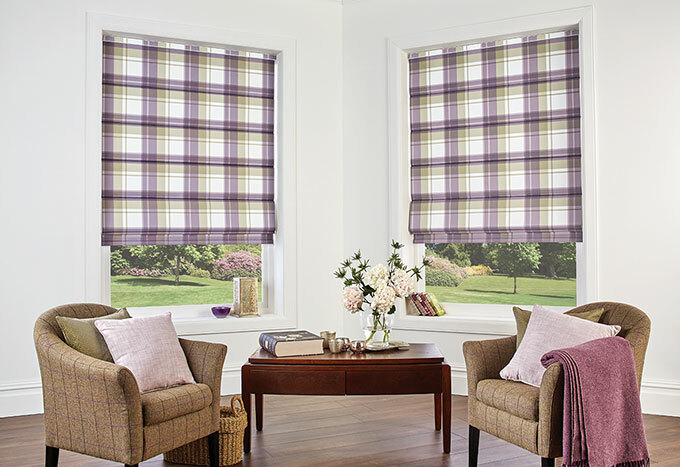 Roman blinds always make a real statement, the perfect combination of functional blind and decorative window dressing. 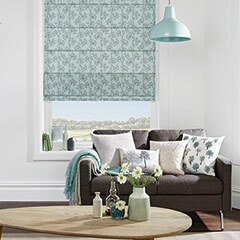 Available in a wide variety of colours, patterns and finishes that co-ordinating with existing curtains and soft furnishings is easy, creating a luxurious look and feel throughout the home. 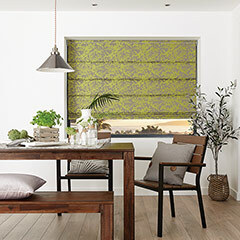 With this versatility comes a wide range of applications for your home, Roman blinds will look as good in your lounge, dining room or kitchen as they will in your bedrooms and conservatories. 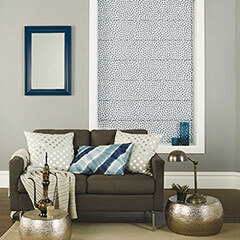 Simply choose a style to suit your home decorating. 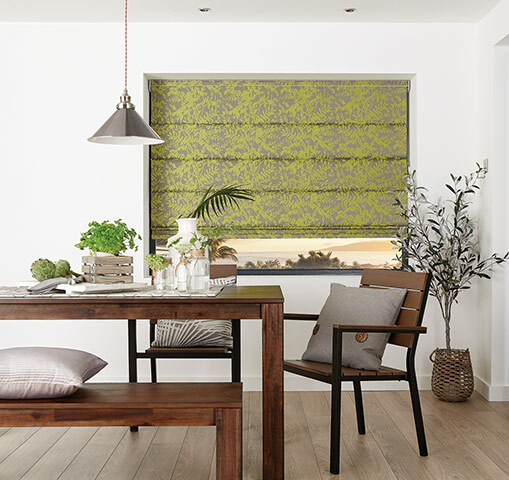 Roman blinds are available with a variety of linings including standard linings, slightly padded interlining and blackout lining. 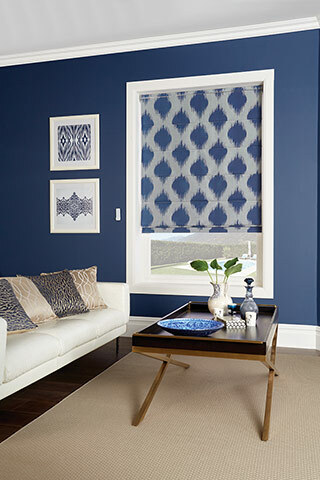 Bonded blackout linings are also avilable for that most luxurious feel and rest assured, your bedroom will remain ultra-dark on those bright summer mornings! 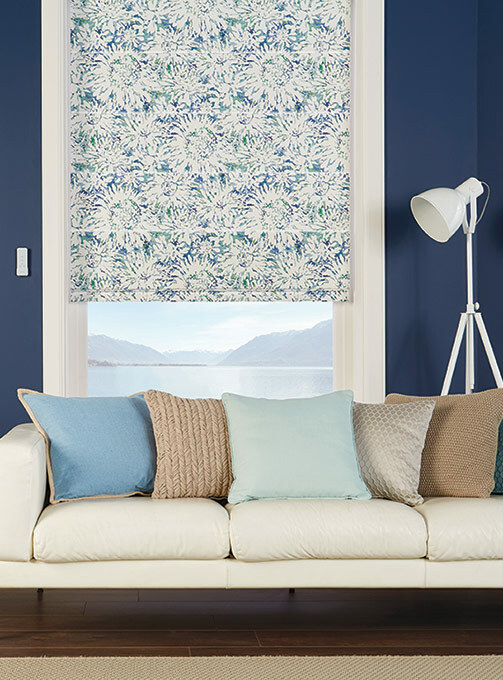 Millennium blinds offer a make up service of Roman Blinds and curtains in customers own fabrics, so give us a call to discuss more. 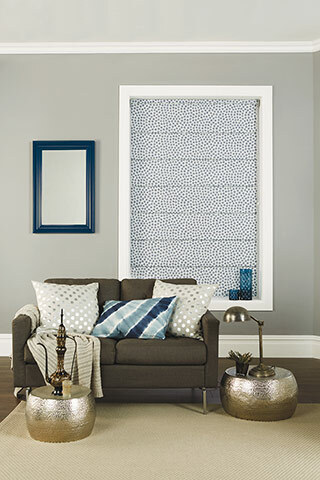 Works well in bay windows when using an individual blind on each window. 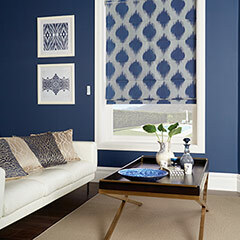 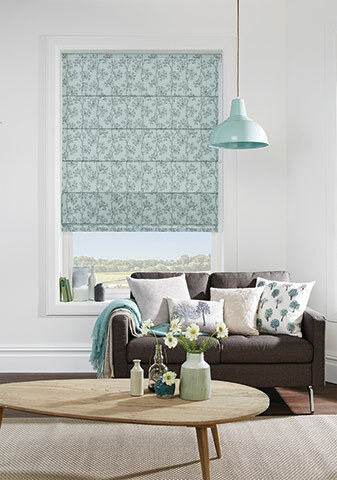 Get free blackout lining on all roman blinds.